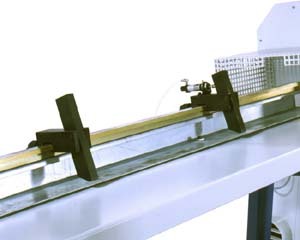 Pneumatic adjustable speed up-stroke pneumatically activated through a foot pedal control. Automatic workpiece clamping in cycle with blade stroke. 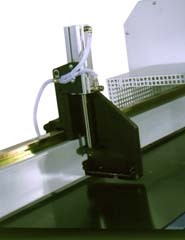 The clamp also acts as the blade guard and ensures total safety for the operator. 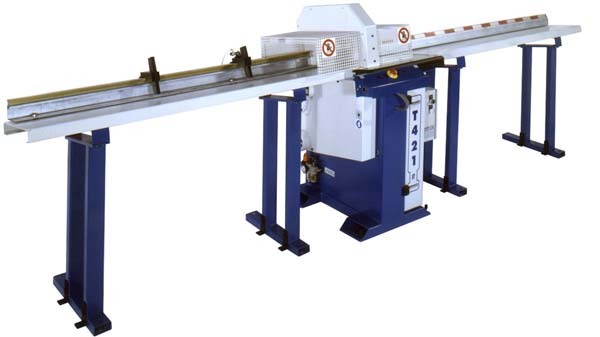 The unit is best suited for length cutting and defect removal. On request T 421 ST can be equipped with infeed and out feed roller table wit scale for positioning of manual or pneumatic flip over stops. Overall Dimensions 25" x 31" x 39"